When choosing the location of your server rack installation.. The first thing that should be considered when setting up your server, A/V, or network rack is choosing the right location. 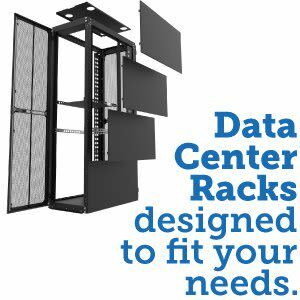 Since most businesses don’t have a large area designated as a data center, it is necessary to find a location that is available, won’t cause problems, and will meet the requirements for the rack itself. Choosing the right room within your building is critical. To start with, the room should be as secure as possible since server racks often contain valuable hardware with essential company data on it. Rooms in the center of a building are often ideal since they don’t have windows. Having the ability to lock the room to keep employees and visitors out is also going to be a good idea. If at all possible, keep your server racks away from people. Servers can generate a lot of heat and noise, which can be quite annoying to those who work in the surrounding area. In addition, when people work near a server rack, they expose the equipment to the risk of being bumped or even having water spilled or splashed onto the rack. While a good server rack will provide a lot of protection to the servers within, the more you can do to keep them safe, the better. Few things are more important than keeping computer equipment cool. The server rack itself will help to facilitate proper cooling, but that is just one piece of the puzzle. Positioning the rack near a heat vent, for example, is a big mistake. If there are windows in the room where the rack will go, make sure that they are shaded so that the sun doesn’t contribute to the temperature of the room. Making sure that the rack is not against a wall that could limit airflow is also very important. Choosing the Right Server Rack(s)…. Once you have the location where the server rack installation will go, you’ll need to decide which type of server rack is best for your needs. There are many types available, so make sure to look at each one based on the types of equipment you will be housing within it. Choosing the right rack is very important. You need to consider what type of equipment will go inside to ensure there is enough room, and make sure that the equipment can be secured properly in place. 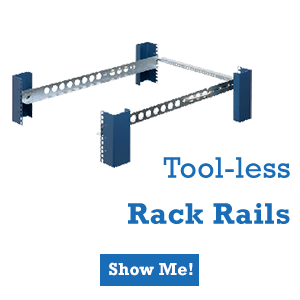 Some companies find that a wall mounted rack is the ideal solution. Others will want an enclosed rack, and still others and open frame model. Taking the time to look through all the different designs is well worth the time and effort. When purchasing the server rack and other equipment, you will need to ensure you are able to properly secure the equipment within the rack. Choosing a server rack that is not compatible with the rails used on your computer equipment will cause a lot of frustration. 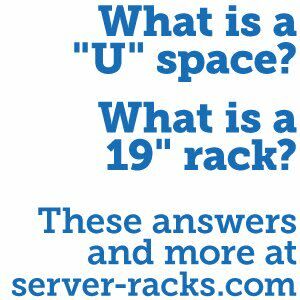 If you’re not sure what type of rack you need, feel free to speak with one of our server rack specialists to get advice. Some companies make the mistake of going ultra-high end when purchasing their rack and computer equipment. 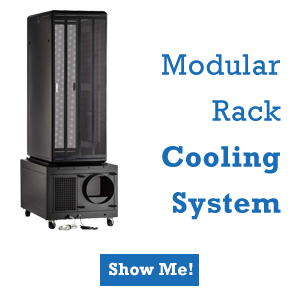 While there are certainly times when this is necessary, most people can save money by opting for a good quality rack that meets all their needs, without choosing those with the premium prices. The following are some other tips to think about that don’t fit into a specific category. They are still very important, and can help you to avoid a lot of heartache now, and long into the future. When putting all your servers and other computer equipment in a rack, you’ll often need to use a power distribution unit to ensure a steady, clean supply of electricity to the rack. 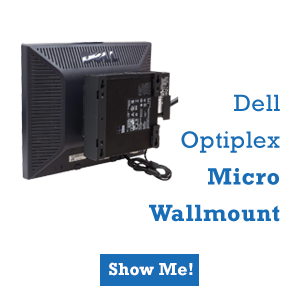 Finding a PDU for your server rack installation that is reliable and will be able to handle your specific power needs is critical. Talking to a supplier who can make custom recommendations based on your needs will help ensure you have just what you need. When adding equipment to a server rack, you will need to run the cables from the different devices to your routers, switches, servers, or other equipment. Labeling these cables on each end will help ensure you can quickly identify where they are going, which is critical for troubleshooting. While it is a little more work up front, it will save a lot of trouble down the road. In addition to labeling your cables, you will want to organize them so they look nice within the rack. This means trimming cables so they aren’t significantly longer than needed, bundling them together using zip ties and cable management products, and running them along the edges of the server rack whenever possible. Organized cables not only look nicer, but they are less likely to get damaged as well. When planning out a server rack installation, you will need to make sure that it is able to meet all your current needs. Looking at expected growth for the company, and future equipment needs, however, is also a great strategy. Spending a little more money today to get a server rack that will be able to meet your needs for years into the future will save you time and money in the long run. When setting up a new server room, you should first know how to install server rack. 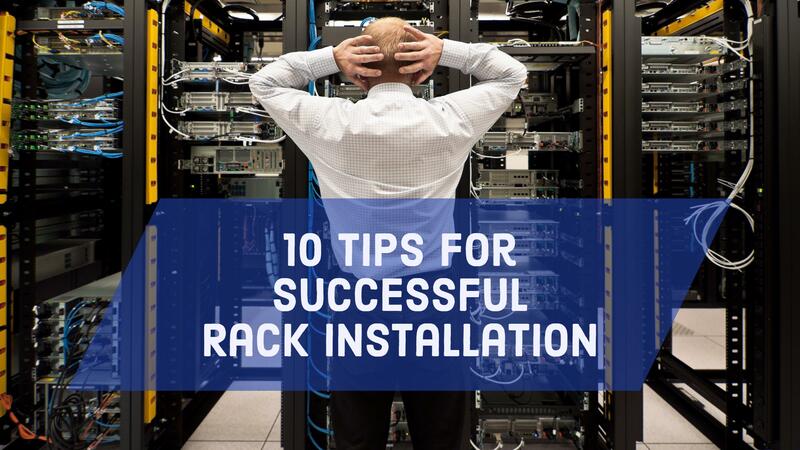 Consider these 10 tips for a successful server rack installation.